Russia has been accused of trying to destabilize democracy around the world, but now it seems that the country has another target in mind for subversion: anime! The Moscow Times, has launched a new report, which seeks to link viewing anime with child suicide rates, as a means of arguing against broadcasting anime content in Russia. “They make a lot of quality cartoons in Japan. They’re not dangerous if you don’t watch them all day. It’s another thing entirely if the characters are teenagers, like their viewers, who are also homosexuals, who smoke and drink and even cut their veins. Of course, the root of the problem here is much deeper than cartoons, but they’re tailored specifically for these types of children." There's a LOT to unpack from the quotes above - without letting it make your head explode. First of all, the argument that anime is tailored specifically for troubled teens is just... dead wrong; and the suggestion that homosexuality and/or teenage drinking and smoking qualifies kids as "troubled" is equally obtuse, if not offensive. The statement that content to "questionable groups" should be 'restricted' certainly doesn't help Russia seem like any less of totalitarian nation that is one half step away form its next big genocide. Finally, the fact that this is all being broadcast as state "news" is pretty chilling example of what normalized propaganda looks like - and a scary reminder of how closely certain political factions in the US are veering to this model. To keep reality in proper check, here: anime isn't tailored for specific groups of kids - certainly not with the intent of causing mental duress or depression. The genre has inspired countless imaginations of millions of people all across the world, for decades. Anime's pop-cultural influences range from music, to cinema, to fashion, to art - in countries ranging from the far east region, to the west, and even a major fanbase in South America. It's become one of the most prevalent mainstream content forms of today, which is why it's even more funny to see Russia sudden hard stance against it. 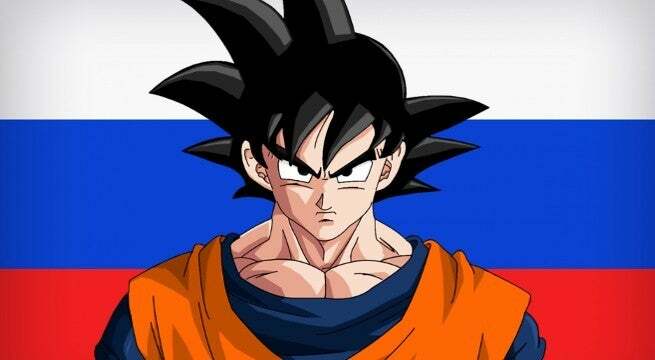 How do you feel about Russia's views of anime? Let us know your thoughts in the comments!